The Eric Wolfe Fellowship is named for a patient who died of brain cancer in 1999. The Eric Wolfe Fellowship is supported by his family’s fundraising efforts, such as the annual Run With the Wolfes and its sister event Golf Fore Wolfe. This fellowship supports outstanding clinicians or scientists seeking advanced training in the Department of Human Oncology. Fellows are appointed for terms of one to two years for advanced clinical, cancer biology and/or radiation physics training and/or research. At the request of the family, the Eric Wolfe Fellows are appointed by the chair of the Department of Human Oncology with the concurrence of the dean of the School of Medicine and Public Health and the UW–Madison chancellor. Dr. Musunuru has a medical degree from Siddhartha Medical College. She completed her medical residency at the Leeds Teaching Hospitals and her clinical oncology residency at St. James’s Institute of Oncology. She also completed a fellowship at the Odette Cancer Centre at University of Toronto. 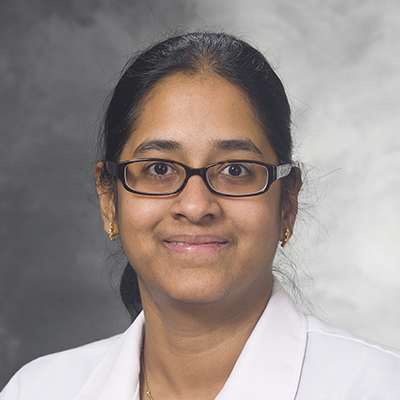 Her work focuses on advancing clinical research and developing clinical protocols to improve treatment and outcome for a variety of disease sites, including brain, head and neck, breast and lung.